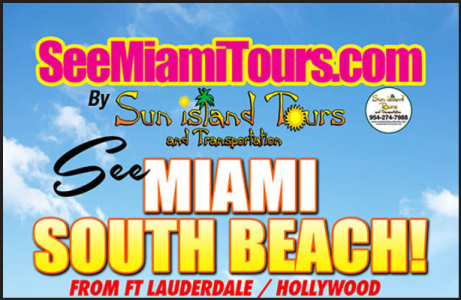 SeeMiamiTours.com by Sun Island Tours and Transportation Inc.
Miami City Tours from Fort Lauderdale and Hollywood, Florida. Have questions or want to learn more? We’d love to talk.